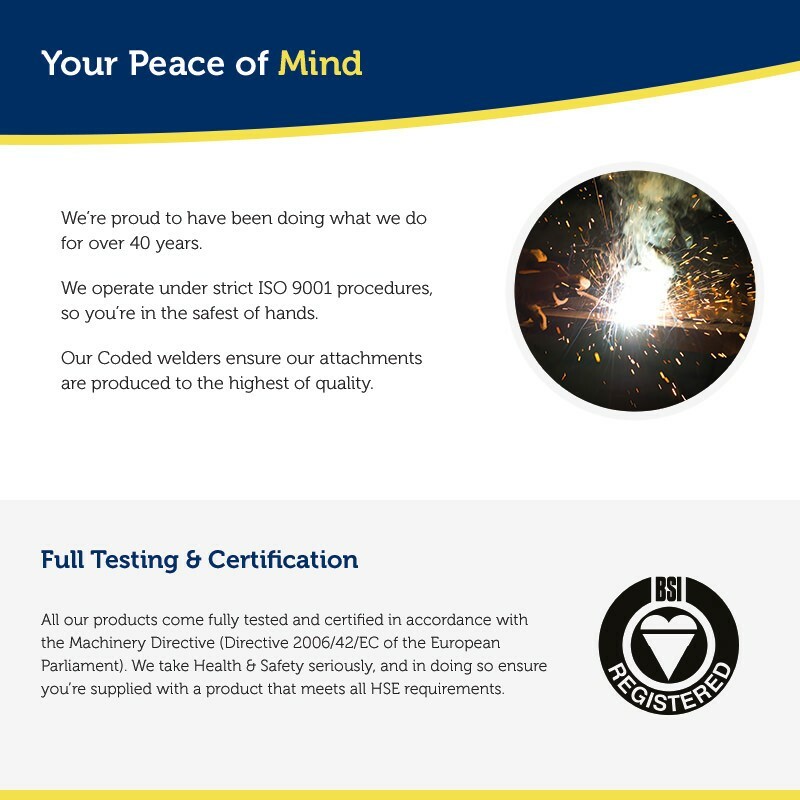 The forklift bag handler is designed for handling standard size "big bags" whilst utilising the forks on the forklift truck. The bag handler attachment simply attaches to the forklift forks, thus allowing the bags to be picked up via the bag loops. 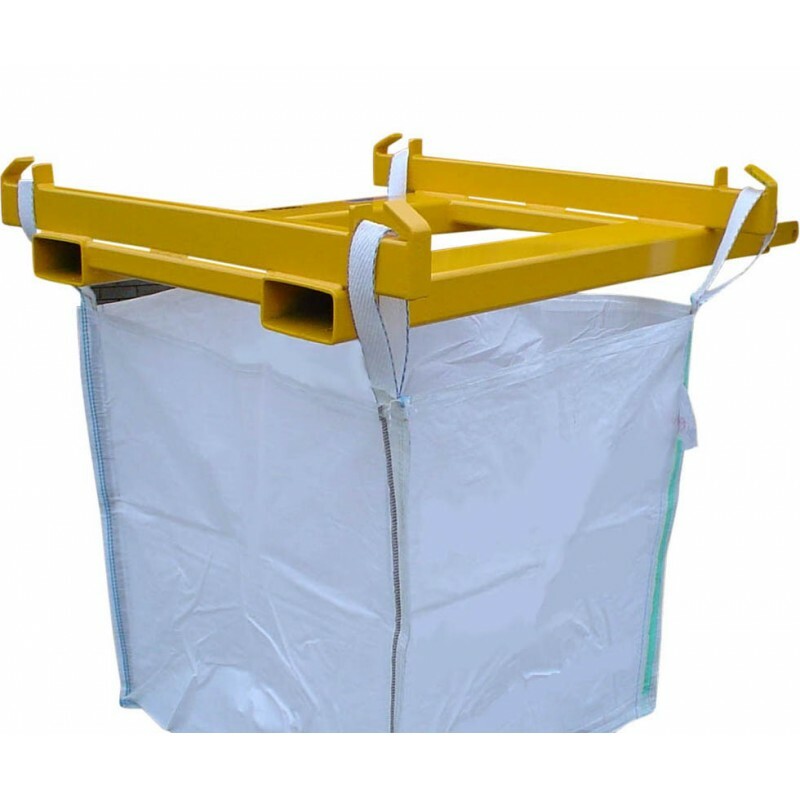 A bag claw situated on each corner of the forklift bag handler allows safe lifting, loading and unloading of big bags. Negating the need to hang the bag straps directly off the forklift forks, and avoiding the subsequent damage that the sharp fork edges can incur, our forklift bag handler provides the ideal solution for your big bag handling requirements. 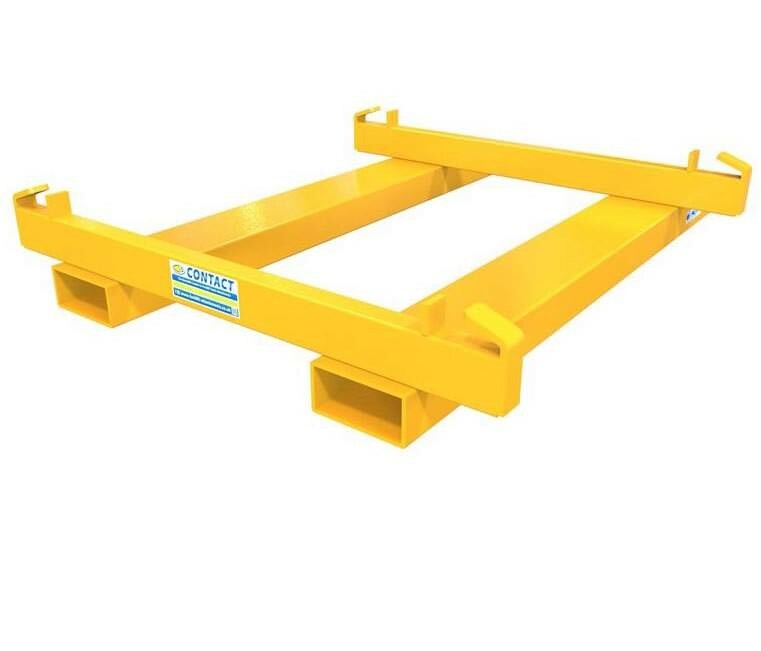 With safe securing to the forklift forks via heel retention pins, and supplied in safety yellow for visibility when fitted to the forklift, like all our forklift attachments, the forklift bag handler will come fully tested and certified to comply with the latest Health & Safety Regulations.